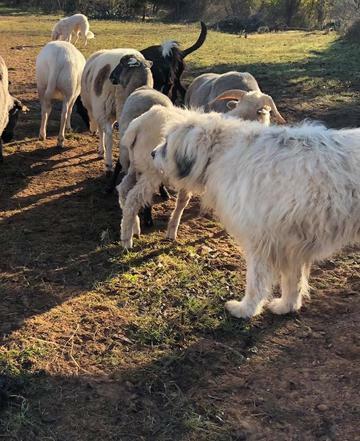 My heart broke yesterday when my old Livestock Guardian Dog, Briar, couldn't get up to greet the day. Her back legs wouldn’t work. She was quite calm. I cried like a baby. This was most unproductive as it upset the dog. I got her up and she wobbled around to supervise the chores. I put her in the house. She followed me back outside with a determined wobble. I cried some more. I see the sun setting and am not ready to lose her. She is my rock. She insisted upon walking the sheep to pasture. It was a long, slow walk and after a short time she looked up at me and announced that she’d had enough - and so we walked back together, leaving the pup with the sheep. On our way back to the barn the pup joined us. Bramble is not quite ready to stay alone. Briar is both her Professor McGonagall and her Professor Dumbledore. She is not ready to lose Briar either. 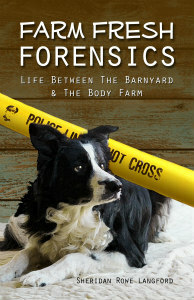 They came back to the barnyard with me. 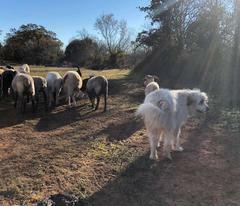 A few minutes later the Anatolian Shepherd came back, followed shortly by the sheep. I wiped my tears and walked back inside. Some time later I stepped out to check on them and wasn't sure whether I wanted to smile or cry. Briar was sunbathing on a hill as Bramble sat perched at attention beside her, watching over the flock. My heart smiles and it breaks. How is she? I had a real moment. I feel as tho I have some sort of vested interest in her as she was the reason I found yr blog. My recent old one [March] is showing signs of not being able to get up easily. I posted some pictures for you. She's doing great. The vet put her on rimadyl.